Since the New Year has just started, I thought it would be nice to share with you some New Year’s culinary Japanese traditions. The first of these concerns Japanese mochi / omochi rice cakes. 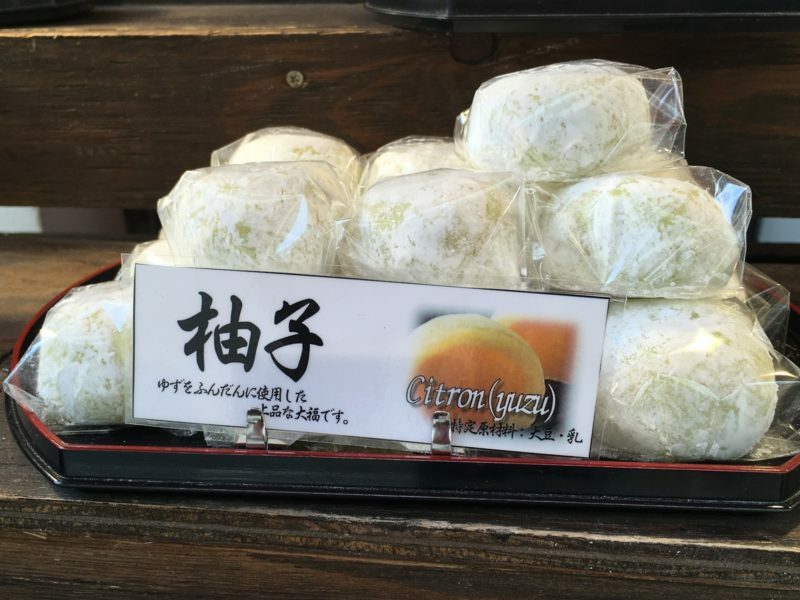 Below you’ll find basic information about mochi and daifuku (“stuffed mochi“), motchitsuki tradition as well as the link to the recipe for these traditional Japanese sweets. Japanese omochi (お 餅, with the prefix o-) or simply mochi (餅) are the sweet rice cakes (though there are also salty mochi). Some people define them as “sweet rice noodles”, but in my opinion the term “cakes” is more accurate. Mochi usually have shape of a ball or flattened ball. They are made of elastic mass of cooked rice and rice flour (so-called mochiko). Although mochi are eaten all year round, they are associated with the celebration of the New Year, or rather the farewell of the old year. And this is the time when really huge amounts of these delicacies are prepared and consumed. with ice-cream (like Lotte’s Yukimi Daifuku, 雪見だいふく). strawberry & anko or fresh strawberry (ichigo daifuku, いちご大福). In addition, I have also seen and tried daifuku coated in black sesame (goma) or soy powder (kinako). And I really liked them, too. the street-stand by one of the inner alleys in the outside commercial part of the Tsukiji fish market. 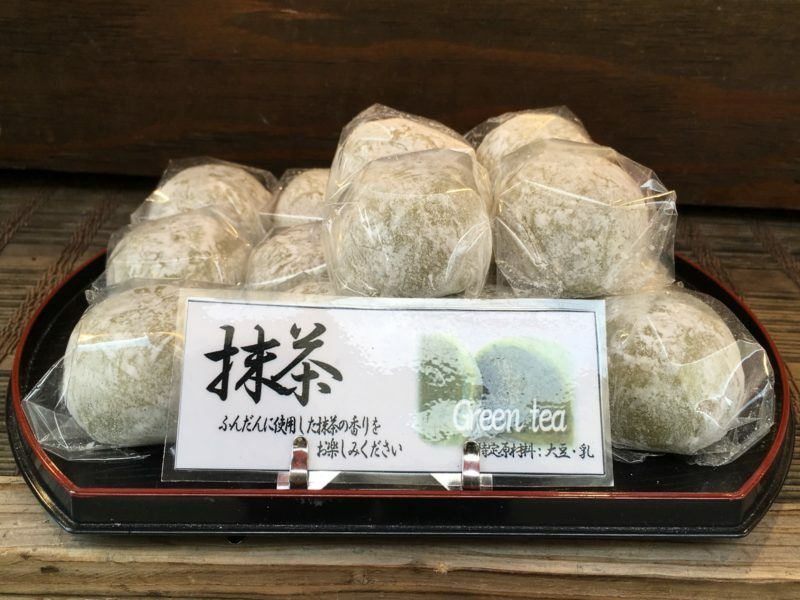 Visiting Asakusa, be sure to try green daifuku with the herbs of wormwood. 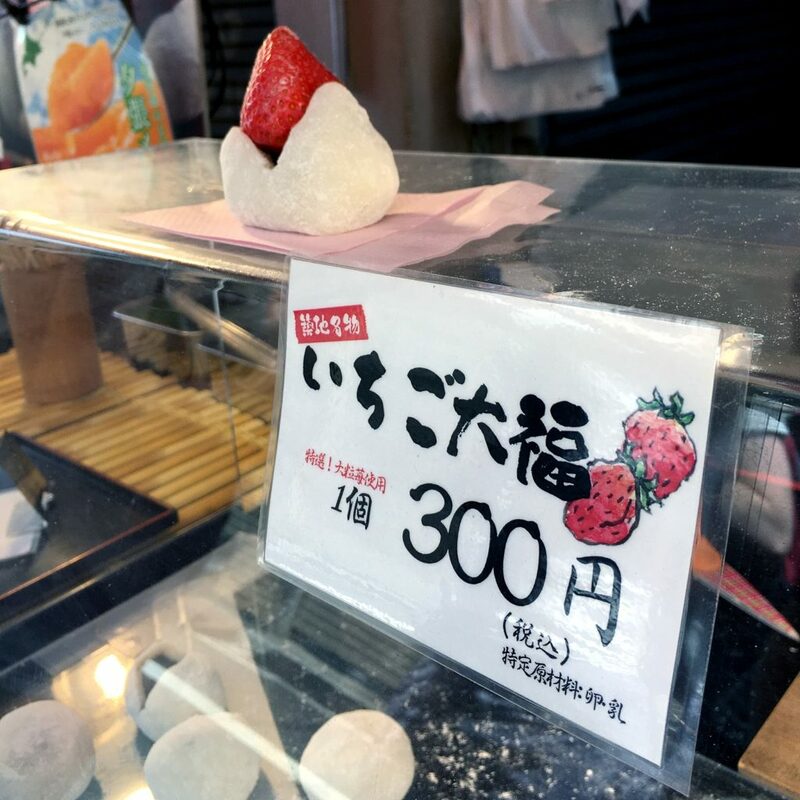 While at Tsukiji you’ll find an amazing choice of daifuku with seasonal ingredients, including strawberries (ichigo), mango (mango), “Japanese citron” – yuzu, etc. 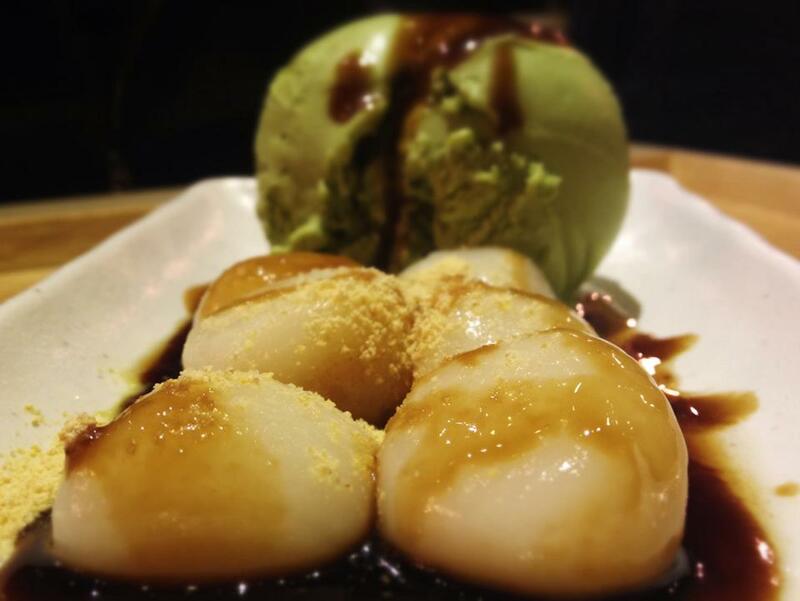 A famous spot with salty shio daifuku is located at Sugamo Jizo-dori shopping street in Harajuku. Want to prepare these rice sweets by yourself? Here you’ll find the easy recipe for mochi and daifuku that assumes the use of sticky rice flour instead of the mix of rice flour and boiled rice. The New Year’s mochi are prepared in the special way. The boiled rice mass is ritually pounded in special containers with special rammers during the ceremony of mochitsuki. The mass is pounded by two people who quickly and alternately hit it. Watch a video showing the actions of the fastest mochi makers in Japan. Mochi is also often put into ozoni soup – the special soup served in the morning on New Year’s Day as a part of the meal called osechi. Similar sweet rice cakes are also made and eaten in China, Taiwan and in other countries where old Chinese traditions are celebrated. Eating them is also a way to celebrate the Chinese New Year. 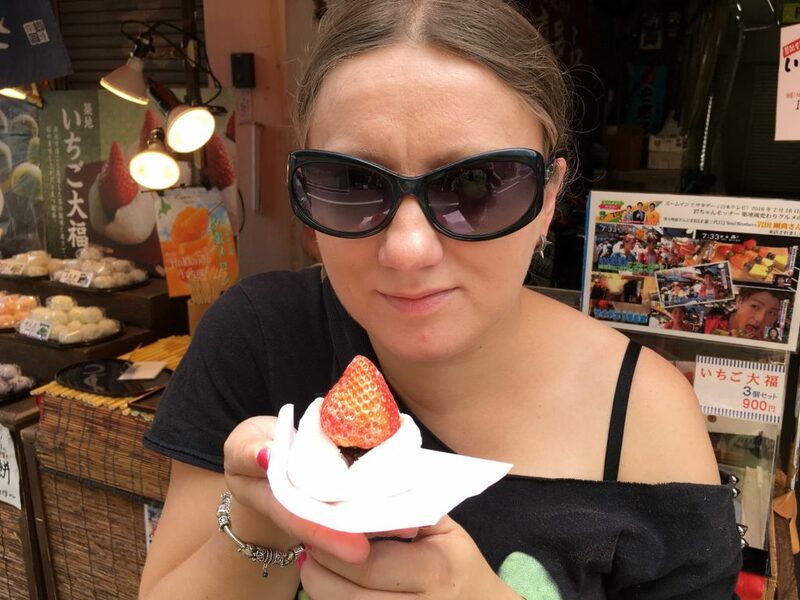 I had the pleasure to try the Taiwanese version of those rice cakes. My Chinese language teacher, Vera (see Vera’s blog), who is from Taiwan, prepared them to celebrate the beginning of Year of the Rooster. The idea of the preparation of those cakes is similar. Yet, they contain brown sugar and have light brown colour. And they are much sweeter than the Japanese mochi! But they still taste great! The rice cakes filled with sweet red bean paste are also eaten in Korea. The Korean version is called chapssalddeok (찹쌀떡). 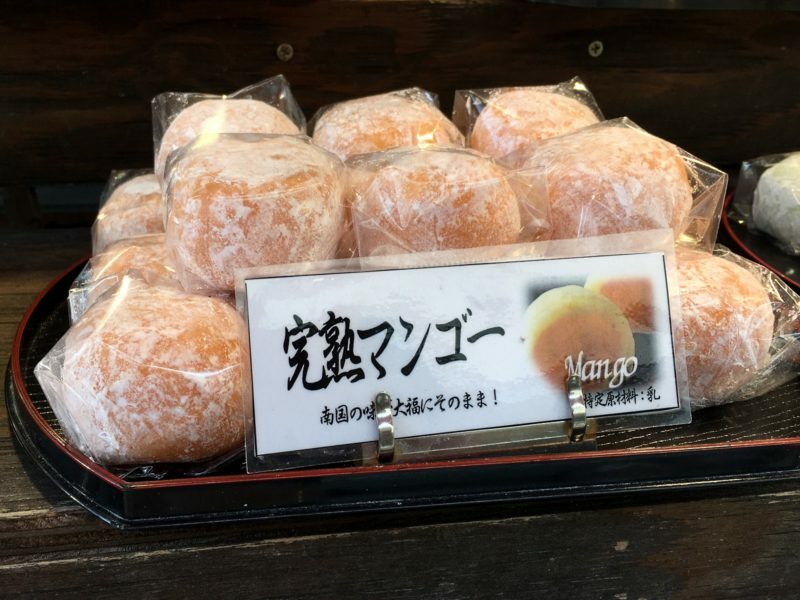 They are just as delicious as Japanese daifuku. I know that because I used to eat them in Seoul, South Korea. You liked this article? Like the Facebook fanpage of Tasting Asia and get the notifications about new blog posts and interesting facts about Asian cuisine!